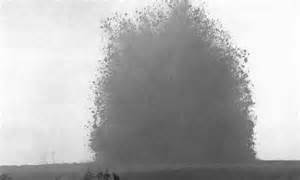 This is a short programme about a key First World War documentary film shot mainly during the battle whose centenary occurs this year. The programme was shown on the BBC News Channel and is currently available on the BBC I-Player, [till the end of July]. Apart from the relevance of the topic itself there are some interesting shots of the Hyde Park Picture House. The cinema was the venue for a screening of the original film to an invited audience. 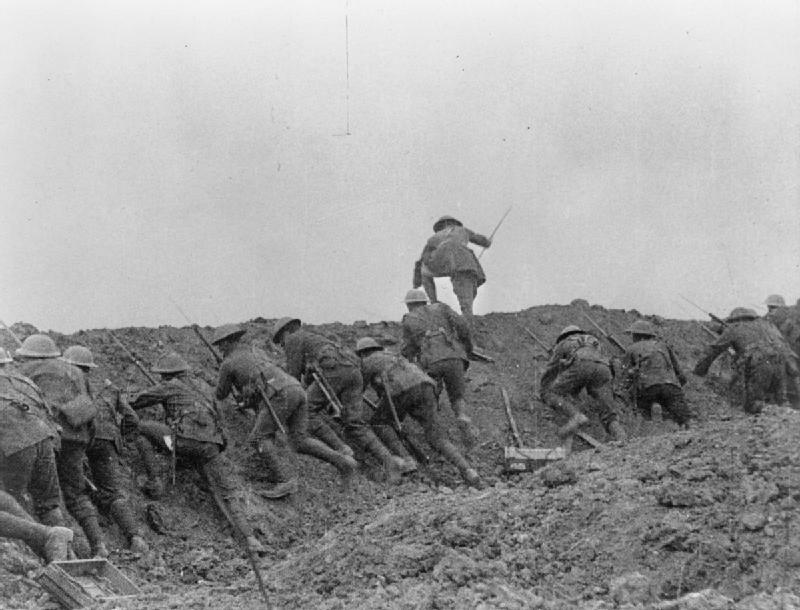 The Battle of the Somme was a filmed and released in 1916. It was five reels in length and ran for around 70 minutes. The film footage was shot by Geoffrey H. Malins and J. B. McDowell. Both were employed by the Cinematograph Trade Topical Committee, a number of production companies involved in early newsreels, who negotiated with the military authorities for cameramen to film on the front line. The military were initially against letting filmmakers into combat areas, but the needs of wartime propaganda [at which the Germans were especially effective] overrode this. [Effectively these cameramen were official cinematographers and ’embedded’ as the phrase goes]. Malins was to become the most famous wartime cameraman, partly through the success of the Somme film and partly through his book How I Filmed the War (1920). He was already involved in Newsreel filmmaking, having started out in still photography. J. B. McDowell had worked in the film industry in production prior to the war and joined Malins on the Western front. When the film footage was returned to Britain it was edited under the supervision of Charles Urban [an important pioneer producer and filmmaker] with Malins. It seems that it was Urban who proposed that the footage be turned into a feature length film, an unusual event at the time. This feature was released in August 1916, whilst the Battle of the Somme continued. On its release the film both struck a chord but also shocked British audiences. It is reckoned that some 20 million people saw the film on it initial release. For many it was the first sight of modern brutal warfare. For many their family members and love ones were involved in the great battle and might even be seen on screen. The shock induced some audiences members to give way emotionally and even faint. Malins and McDowell filmed three other front-line documentaries on the Western front and other shorter newsreel films. After the war they both returned to commercial film production. The BBC programme provides quite a lot of this background to the film. It merits include a substantial amount of film footage which is shown in the correct aspect ratio: [not always the case on television]. In places Malins written words accompanied the footage. We see the famous shot of the massive Hawthorn Ridge Redoubt mine and the ‘staged’ sequence behind the front line later in the film. There is background information from staff at the Imperial War Museum where the film is preserved and where it has been recently restored. There are also illustration and explanation of the technology and the cine-cameras of the time from staff at the National Media Museum. And a military historian places the film in the course of the battle and in the landscape in which it was filmed. Malins and McDowell film work is amplified by reconstructions, mainly of the front line trenches. And we get to see the Hyde Park Picture House and the audience viewing the film there. Finally some of the audience and relatives of the men seen in the film offer brief comments. There are though some limitations. Not all the film footage was that shot by Malins and McDowell, but what this is not stated. The comments on the background of the film and the technology of the time are fairly brief. And whilst there is biographical material on Malins, there is not on McDowell or Urban. And the comment on the production and distribution of the film is limited. At time sequences feel a little like ‘talking heads’ which is almost a convention now on British television . The main problem is the brevity of the programme, 23 minutes. It needed at least an hour, and at one time the BBC would have allowed this or even longer. And whilst the reconstructions are interesting, I assume they were the most expensive components in the film. And I did not think they were any more informative than the interviews and archive material used. It is interesting though and if you have seen the actual film, The Battle of the Somme, it provides helpful background. And it is good to see the Hyde Park Picture House on television: the last time I saw it there was in Moving Pictures in the 1990s.